I can't guarantee that the price will still be what I have listed since sale prices change often. I have put a date next to each book - this is the date that I added it to this page. I'll add things to this page as I find them. Lately, I've found something nearly every day. 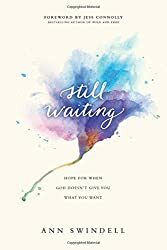 This is by no means an exhaustive list of all of the kindle deals or all of the online book deals but these are the ones that interest me and that I hope will interest you. If you think you might be interested in seeing this as an email list please fill out this form. All of the links on this page are affiliate links. Thank you so much for supporting my blog.